Cloud computing is the fastest-growing IT budget item, and, in terms of hype and growth, the cloud has overshadowed on-premises IT ever since the launch of commercial IaaS in the mid-2000s. But many organizations have not maximized its’ value because the rewards and risks of the cloud are difficult to balance. Just look at the research and you can see hyper growth over the past 10 years reflects increased cloud costs accounting for a huge slice of IT spending. In 2017, 451 Research studies found cloud expense averaged 34 percent of the total IT spend. Ideally, this increased investment makes IT more scalable and cost-effective. We must be clear, the transition to the cloud is not as simple as buying something in the store. It involves detailed planning and a comprehensive cloud migration strategy. Network infrastructure must serve distributed sites and cloud endpoints, at the same time supplying ample bandwidth, security, incorporating multiple service providers without service compromise, and the value proposition of the cloud. A Forbes study states that cloud providers like Amazon Web Services (AWS) accounted for 55% of the company’s operating profit in Q2 of 2018, despite contributing only 12% to the company’s net sales. In Q1 of 2018, services accounted for 40% of Amazon’s revenue, up from 26% three years earlier. Approximately, 80% of enterprises are running apps on or experimenting with Amazon Web Services (AWS) as their preferred cloud platform. The Microsoft Azure platform consists of 67% of enterprises running apps on (45%) or experimenting on the Microsoft Azure platform (22%). Google’s Cloud Platform is utilized by 18% of enterprises for applications today, with 23% evaluating the platform for future use. RightScale’s 2018 survey was included in the original data set Statista used to create the comparison. Enterprise adoption of Microsoft Azure increased significantly from 43% to 58% attaining a 35% CAGR, while AWS adoption increased from 59% to 68%. Enterprise respondents with future projects (the combination of experimenting and planning to use) show the most interest in Google (41%). The enterprise SaaS market is now generating $20B in quarterly revenues for software vendors, a number that is growing by 32% per year. Microsoft is in the lead with a worldwide market share of over 17% and is now the leading SaaS vendor primarily due to its leadership in the high-growth collaboration segment. Financial Services has the highest percentage of server images deployed in private or public clouds, approaching nearly 100% versus a median adoption rate of 19%. A recent McKinsey & Company study found Financial Services had progressed the furthest to advanced cloud maturity beyond virtualization and basic cloud compared to insurance and healthcare. The largest cloud shift before 2018 occurred in application software, particularly driven by customer relationship management (CRM) software with Salesforce dominating as the market leader. CRM has already reached a tipping point where a higher proportion of spending occurs in the cloud than in traditional software, according to Forbes. Knowing this, it is critical to understand how to effectively manage this paradigm shift in the consumption of IT. 1) Integration and customization to your business process. Cloud expense management shouldn’t be a new silo in your IT department. Your company should be able to integrate it with your existing TEM while embedding the current business process in the platform workflows so your team can report and operate the cloud without problems. How can you create new platform capabilities that function smoothly across multiple devices? The TEM platform should be extremely adaptable to your needs. Asignet Cloud platform solves this problem with a tool called “Wayfast”, which is a Low-Code Rapid Application Development (RAD) Platform designed to guarantee the full cycle of web and application development with an integrated workflow/BPM engine. One of the many benefits of Wayfast is that it enables Asignet to quickly create forms and business workflows for the user. Asignet enhances this initial process version by adding complex integration functions and/or transforming the web form into a sophisticated web app. The cloud has become increasingly popular among businesses to serve a variety of functions. More businesses are relying on cloud-based financial reporting as a method of delivering information to their stakeholders more efficiently. Asignet’s cloud solution provides a centralized platform to conquer all aspects of reporting: cloud expenses by cost center, department, branches or by type of assets, type of cost, billing category and more. Asignet can help you minimize the risk of billing errors by properly dimensioning your network for your business needs, and we guarantee that bills are properly paid and flag any discrepancies and file all disputes. 3) Capacity to tie complex technical architectures and billing items, cost centers and procurement process. The platform provides a detailed analysis of how computing, network, and storage resources are being used. 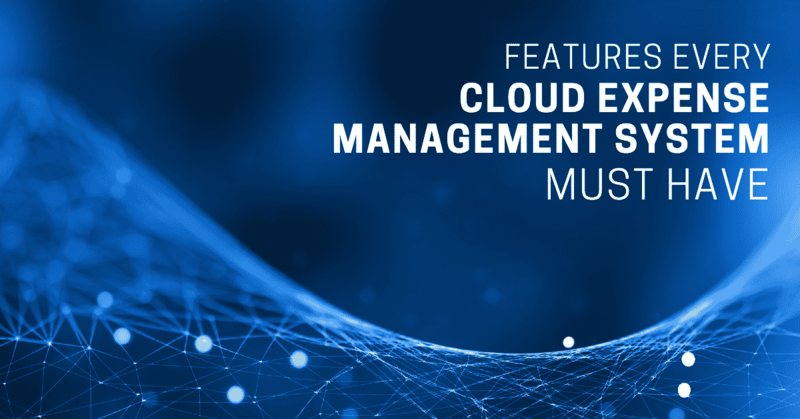 It gives you visibility and control over multi-cloud costs and supports both Amazon Web Services (AWS) and Microsoft Azure. With the cloud, businesses can enjoy limitless storage and processing power that is cheaper than traditional storage costs, but to become efficient in managing the cloud is the challenge. Asignet’s platform not only shows the possible cost savings but also enables you to automatize the operational workload by using RPA technology to automatically change scheduled usage for the cloud assets. On-premises software remains vulnerable to technical complications, loss of data and man-made or environmental catastrophe. Such data loss not only sets a company back time-wise, but it also poses a huge financial burden. When software is stored in the cloud it’s more secure. All data is regularly backed up, providing a safe haven for sensitive data that is unaffected by any physical or technological disaster.